Kerala PSC will conduct LGS examination for all districts in 2018. The PSC board will schedule the exam in district wise. Graduates cannot appear for the PSC LGS exam. For bagging higher rank in , you have to score more than 95% in PSC LGS exam and for that you have to prepare hard in a smart way. You should start the preparation at least before two months of the LGS exam. First you have to understand the syllabus for LGS exam. Your study should be strictly based on the syllabus of LGS exam given by PSC. Go through the previous LGS question papers to get an idea of the method of questions. Divide the syllabus in accordance with the total available days. 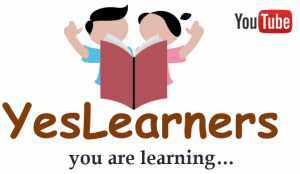 Read any rank file specially deigned for LGS exam. Study at least 8 hours per day. Memorise long topics as stories or songs. Revise the portions you covered. Read newspaper, monthlies and weeklies to get current affairs. Exercise model question papers and mock tests. Only then you can manage time in LGS exam. Good Luck for all PSC LGS Aspirants!! !